Theatre Journal is pleased to announce that EJ Westlake will be the next co-editor, officially beginning this role at the beginning of 2018, when Jennifer Parker-Starbuck takes on the role of Editor. 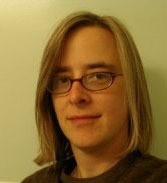 EJ Westlake is an Associate Professor in the Department of Theatre and Drama and the University of Michigan. She is also an Associate Professor of English at Michigan. Her research areas include new media, nationalism, ethnography, post-colonialism, postmodernism, community-based theatre, pedagogy, Nicaraguan drama, and hybrid cultures of New Mexico. In addition to numerous articles and chapters in books, she is the author of World Theatre: The Basics. London: Routledge/Taylor and Francis, 2017; Political Performances: Theory and Practice. Susan C. Haedicke, Deirdre Heddon, Avraham Oz, and E.J. Westlake, eds. New York and Amsterdam: Rodopi Press, 2009; and Our Land is Made of Courage and Glory: The Nationalist Drama of Nicaragua and Guatemala. Carbondale: Southern Illinois University Press, 2005. She was the recipient of a Fulbright Scholarship in 2011-12. She has extensive editorial experience from her work at Theatre Annual and on several large book publishing projects. We look forward to having her join us, as soon as her work with the journal begins, just after the ATHE conference in August.